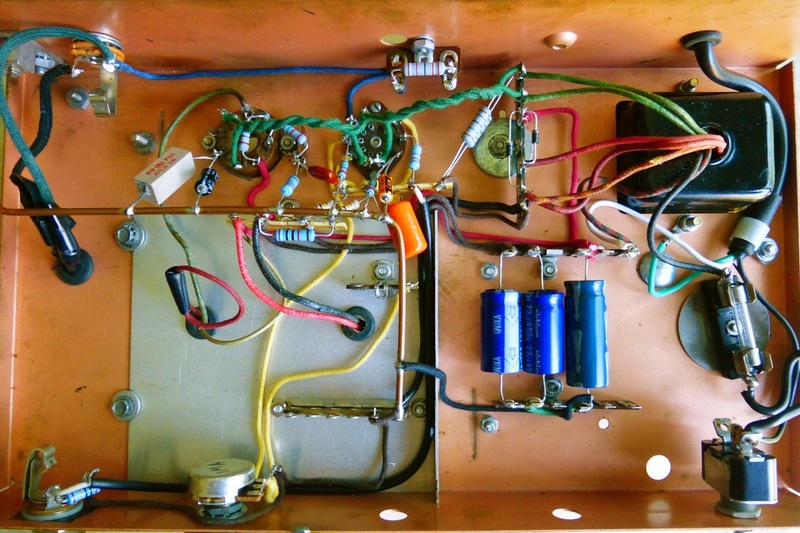 In Part 1, we looked at the classic Champ Amp circuit, and set up a project goal of putting together a guitar amp similar to a Champ, using nothing but dead junkyard parts - a hare brained scheme worthy of young Dr. Frederick Frankenstein himself. Maybe it should be called the Abby Normal Amp? 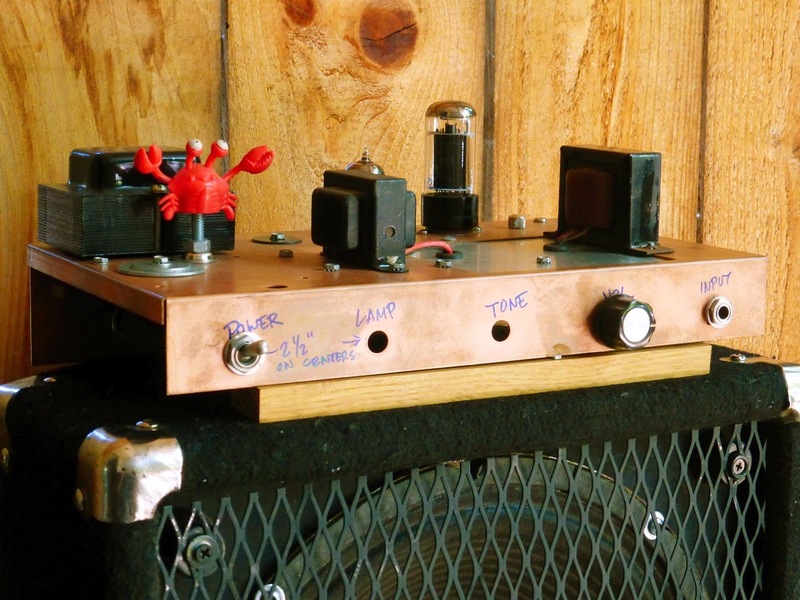 But questions remain: how does a pile of trash heap parts get turned into an amp, how will this stitched together beast sound, and what's the purpose of the little rubber lobster anyway? To find out, please read on. The copper plated chassis came with holes pre-punched for three 9-pin tube sockets, as well as a bunch of other holes of various sizes, and a huge gaping rectangular cut out that had to be filled; I used a scrap piece of sheet aluminum and screwed it into place. Some new holes had to be drilled for the wires to and from the output transformer and choke, and one of the socket holes was enlarged to fit the octal output tube socket. I used as many of the existing holes as possible when bolting up the transformers and terminal strips, and to a certain extent that determined the component layout. You can see that there are a couple of empty holes on the front panel; I had planned on including a tone control and make the amp closer to a 5F2A Princeton, but just a volume knob is enough, really. Eventually, there might be a pilot lamp, but so far I haven't scored one for the right price - nothing. Besides, until I can put the amp into a cab, the tubes themselves indicate when the amp is powered on; not to mention the power switch flipped up - duh. Most all electronic equipment from the classic period was hooked up using what I call "true" point to point wiring. 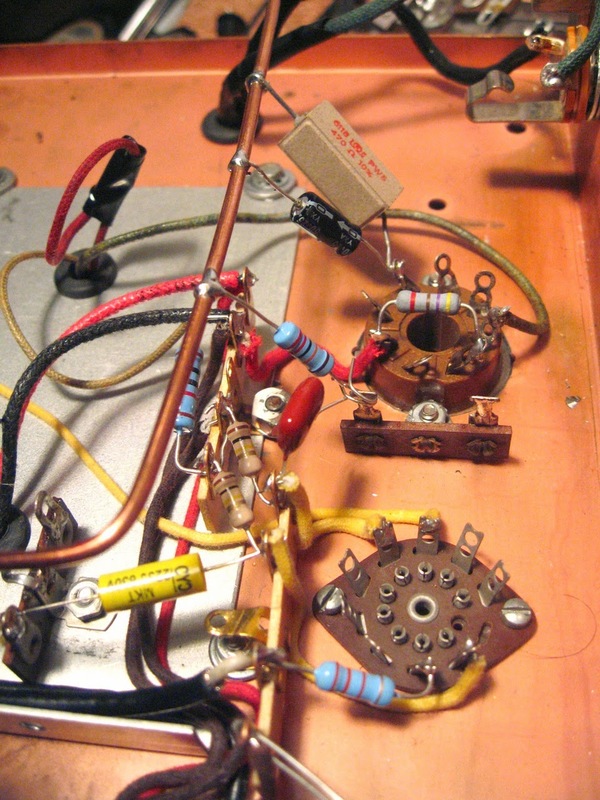 The resistors, capacitors and transformer leads themselves are used whenever possible as the direct signal paths between tube sockets, pots, and jacks, with as little additional wiring as posssible. 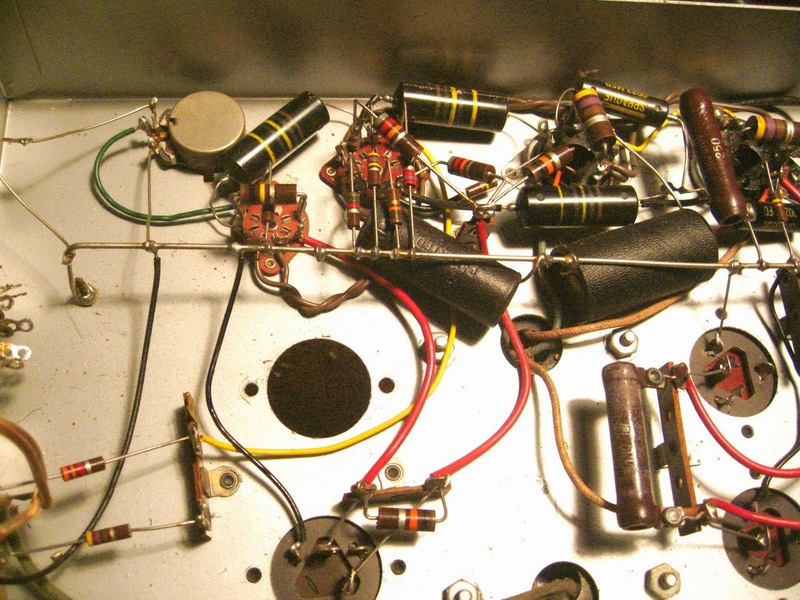 All Fender amps made until the early '90s used a different wiring scheme, using turret or eyelet component boards to hold the smaller parts, plus interconnecting wires running to and from the board and other components: jacks, pots, transformers, tube sockets, etc. Today, that layout method is referred to as being "point to point", although at the time those amps were being produced, it wasn't called that at all - it was known as "circuit board construction". 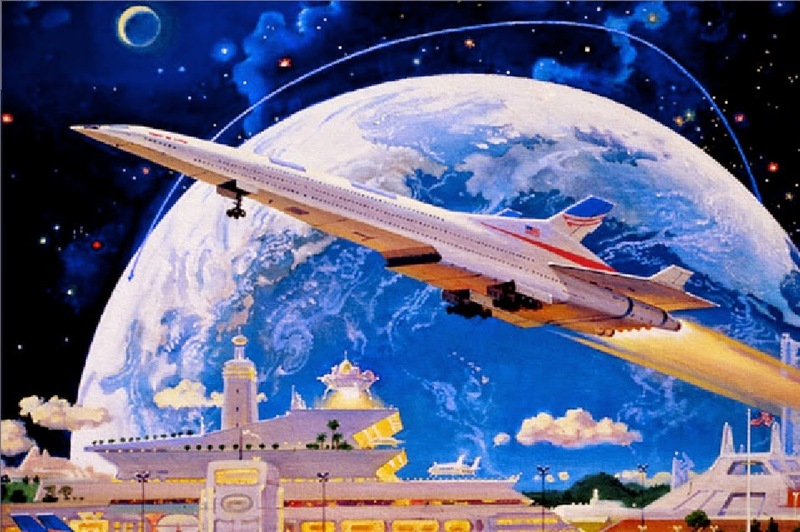 That technique was a brilliant manufacturing expediency; amps could now be made in record time, and quality control was much easier, but it can and usually does add a lot of additional wiring length. This requires careful attention to "lead dress", which usually means keeping those wires as short as possible, and squashing it down close to the chassis, in order to avoid noise buildup in general, and sometimes weird audio artifacts and oscillations. 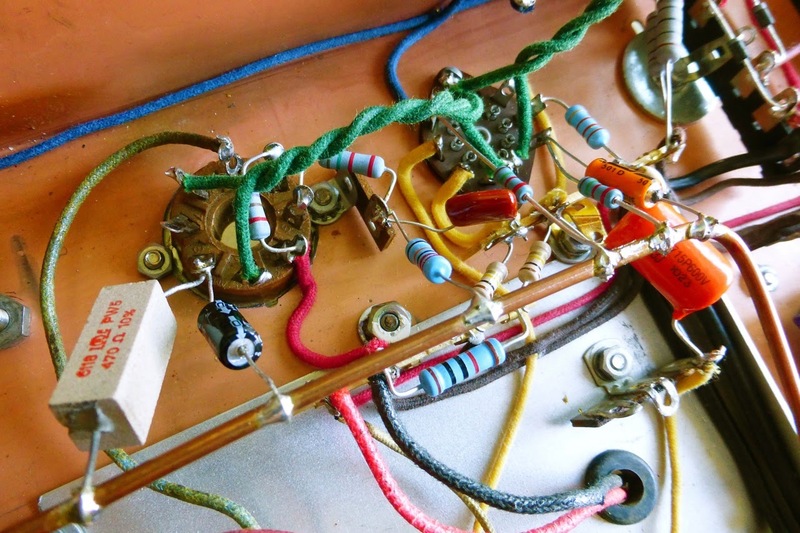 Interestingly, modern printed circuit (PC) board construction, which most tube amp hobbyists dislike, can have much shorter signal paths than the older Fender style circuits, and so can be a lot more quiet and hum-free, as well as keep manufacturing costs down. That's the reason why all mass produced amps manufactured today are made using PC boards; most sound just fine, and some of them sound great. However, PC board construction is a repairman's nightmare, compared to earlier point to point wiring, which is very straightforward to troubleshoot. The art of planning out a 1940s style "true" point to point wiring scheme in advance is something that is beyond my abilities, but I do something close by using a Zen-like technique: not thinking too much, putting a few terminal strips in likely places, and just start lacing in parts and soldering it all up, while following the schematic. Sometimes, beer and loco weed help out in the process. This results in what looks like a chaotic mess, similar to the inside of my brain. 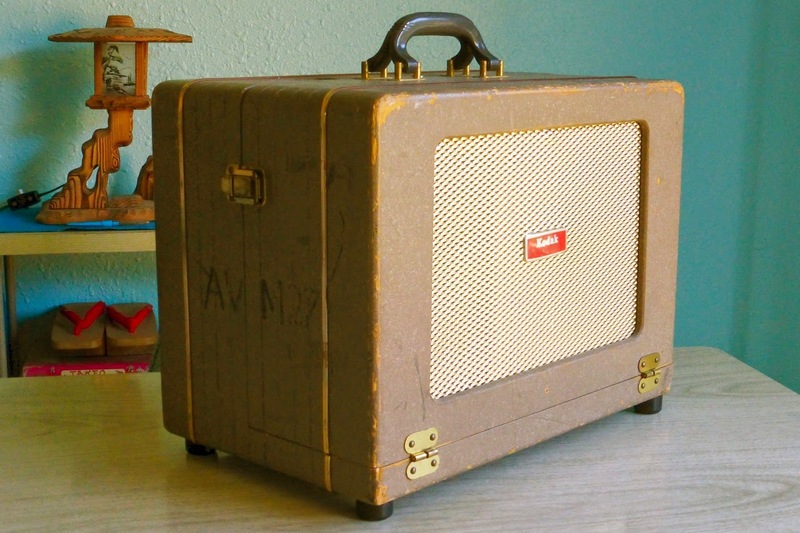 But look inside any old radio, organ amp, or military communications set and be amazed it even works (! 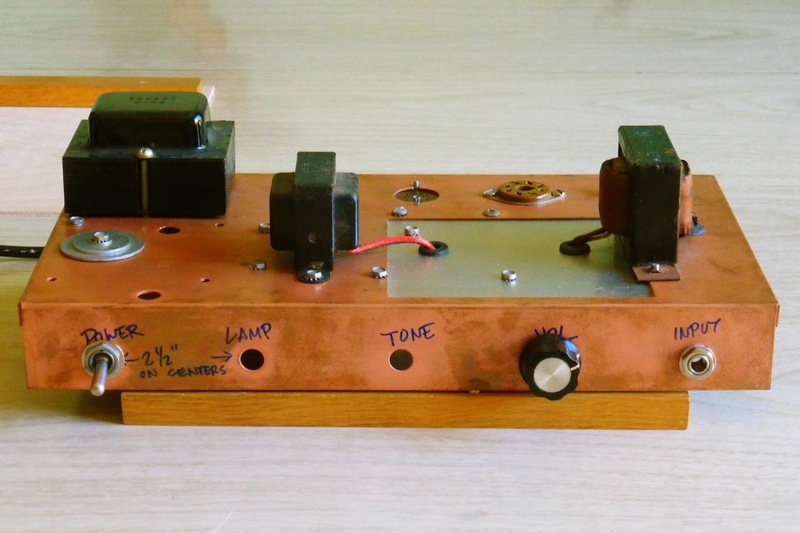 ), compared to the well planned out, logical and easy to follow layout of the typical 1950s to '80s Fender amp with their eyelet board construction. The upside of true point to point, though, is a noticeably reduced noise floor and less AC induced hum, especially when using isolated jacks and shielded wire at the inputs, neither of which Fender bothered with. 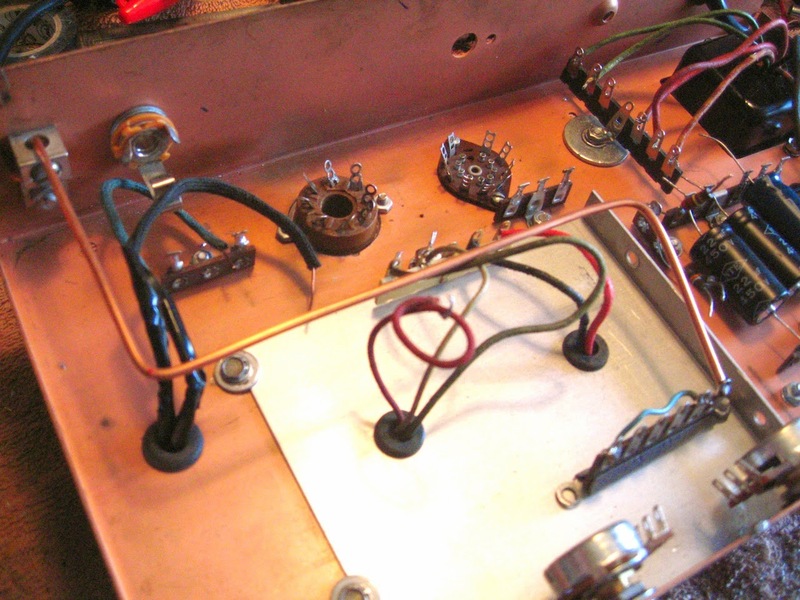 That piece of 12 gauge solid copper wire (one of the conductors from a piece of 12-3 Romex cable), with the two right angle bends in it is the ground bus bar flying above and through the inside of the amp. Using a ground bus is an old grounding technique from the days when almost all electronics was true point to point wired. Attached at only one point on the chassis, in a place away from the audio input, and with as many of the circuit ground connections as possible made directly to it, the bus helps to ensure the reduction of hum caused by multiple paths to ground, and the resultant ground loops. Next time in Part 3, we'll measure some in-circuit voltages and run the plate dissipation numbers, and do a subjective tone analysis, ie: how does it sound, anyway? Stay tuned.